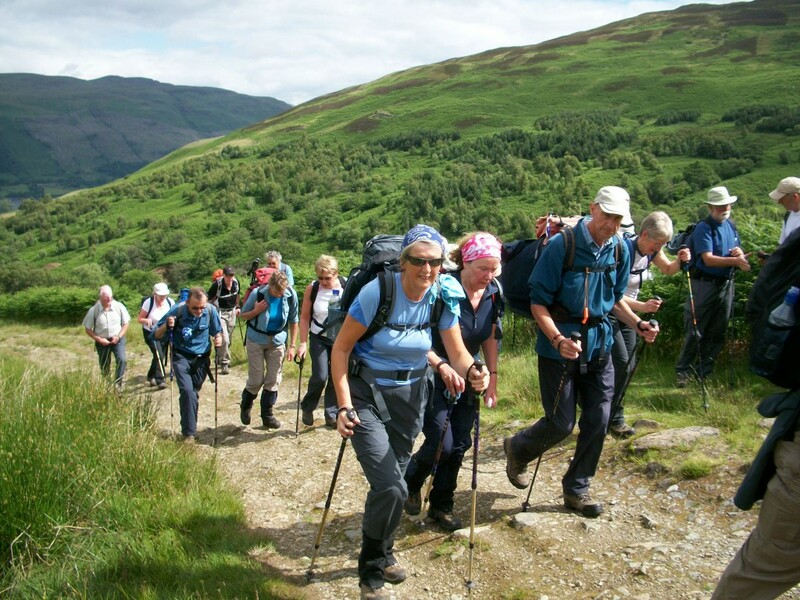 Conduct | Bearsden & Milngavie Ramblers. There are some guidelines that you should note and follow when out walking with the Group. Some of these relate to your safety and that of others in the Group. Most of these are in the section on Safety below. Other guidelines are about getting the most from the walk and ensuring that others do the same. Some are concerned with protecting the environment and wildlife when we are out walking. The Leader of a walk may change the walk because of adverse weather, bad ground conditions or for other reasons. Members of a walk must inform the leader and receive the leader’s consent before leaving a walk. Although every effort is made to ensure the safety of parties, it is pointed out that persons coming on walks do so entirely at their own risk. No dogs are allowed on Group walks.